Glimmermen have been busy writing the follow up to their well received debut LP “I’m Dead”. The lads take a break and head west this March arriving in Galway Wednesday 4th to play Citóg at Roisín Dubh. 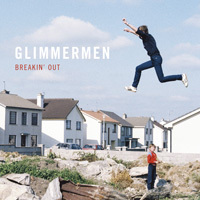 Glimmermen will be playing some new songs and some songs from their recent debut. Support on the night comes from Polaris and Dave Skelton. Doors are at 8pm and admission is FREE. CDs and Vinyl will be available to buy on the night.